Looks around. Also grooms face and hair (rare). 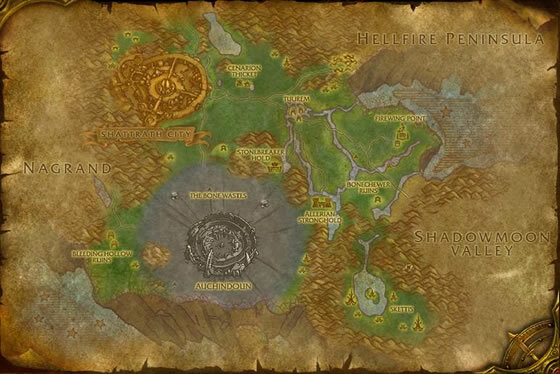 Can be found on the ridge (Razorthorn Rise) in between Hellfire Peninsula and Terokkar Forest alongside Razorthorn Flayers. why does the data sheet say these are capturable in mysts of pandera ? 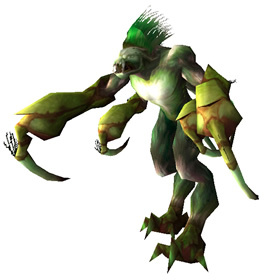 Just went through Razorthorn Rise looking for a p/p or an s/s of these critter destroyers. I captured a common s/s and a poor p/p. Which breed should I use a battlestone on to upgrade to rare? Should I go with the power breed or the speed? Went through every single one which had spawned on Razorthorn Ridge chasing a SS, regardless of quality. Cleared them all out and not one.. They didn't even begin to respawn at any point. Tough dude to get the right stats on it seems! Waited 15 minutes and managed to replace the common P/S with an uncommon. that ridge is dangerous if you are too low a level. Any Flayer Youngling have the ability to increase their Speed, Hit chance, and even Crit Chance by 25% for 5 roungs. P/P 260 speed all of a sudden becomes 325! I got lucky last night on my first time sniffing through the area and had one pop up a quick Blink away. There were two other people farming and I happened on it first. It is a Uncommon P/P. Good enough for me! I have a S/S Flayer Youngling. And it is, by far, THE MOST USEFUL humanoid I have in my arsenal. With a 325 speed, this little guy almost always goes first on dragons. The Kick + Blitz combo is very powerful. Add in Deflection, and this guy becomes very good at avoiding dmg. I don't think I could've battles many of the dragon trainers as easily without him. Flayers up on Undermine, 830am server time! At 4:52AM server time (Shandris) I captured a S/S breed. Server time seems to be the issue here (whether by design or server popuation I can't tell) I agree with others who say the rarity not as important as the breed, in this case. The best way to get flawless stones is through pet battles, mostly PvE and those with the Pandaren NCP's. It takes a while but I really think I got most of mine from battling the eternal striders in the Vale of Eternal Blossoms by the NPC Aki the Chosen. Got a blue on my second find, flew over last night at around 7pm nothing. Tonight 11:30pm found a poor and then my blue!!!! With 325 speed, Deflection and Kick this is a really solid pet in PvP. Fares really well against some opponents, but also suffers from being a multiattack creature if you run into a Sandstorm or shell-type shield. You can of course use Rampage instead of Kick, but that would leave you unable to "do" anything else for 3 turns. Checked Razorthorn Rise mid-evening 7pm server time - found one (just so I would have it) and then logged out - came back about 3am server time, logged into a swarm of them, found 2 H/H rares and a Rare Stripe-Tailed Scorpid B/B in the process. So keep checking back and happy hunting! Most people focus on rarity but that is not usually as important as the breed. Get the speed breed. Camp out a toon and log in late at night. One of the best pets I have... I have a lot. I was finally able to locate some, and on my 4th fight, a rare one, at last. Anyone try this guy with S/S + kick. to auto-win every fight? Can anyone confirm that Focus still forces triple snap to hit 3 times? A brash fel orc once tried to enslave these critters as his personal soldiers. Pieces of him are still scattered across Outland.